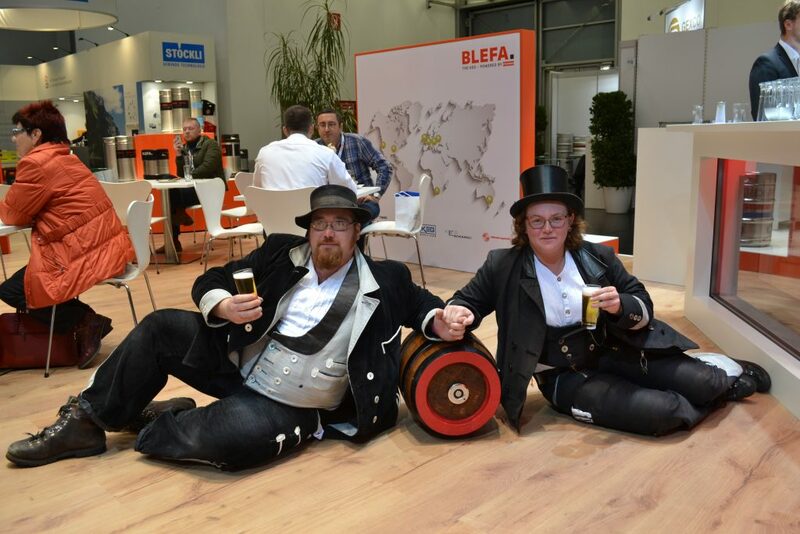 After last year’s Drintec, it was back to Nuremberg again for Blefa this year to the Brau Beviale. And without giving too much away, I think we can safely say that both for Blefa and the exhibition itself, it was a great success. This gradually became apparent over the course of the first day, as the countless visitors to our stand reported of crowded exhibition halls, long and intensive business conversations as well as a very good atmosphere in the industry in general. During these three days, a potentially record breaking 40,000 visitors (2016: 37.923), including 18,000 international visitors, passed through the 9 Brau Beviale halls, where 1,094 exhibitors from many different countries were presenting a great variety of products and services to a very interested audience. The trade fair was accompanied by a very attractive fringe programme – with the Craft Drinks Area enjoying great popularity. This clearly shows yet again the extent to which craft beer is increasingly proving a great asset for the beer market in Europe. This year, BLEFA has once again put a very effective team together. Over the three days, 8 customer advisors were on hand to offer visitors any assistance they needed. 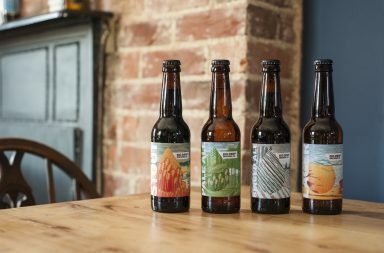 As well as expert advice, this also included excellent food and 5 outstanding types of beer: “Helles” and wheat beer from the Wieninger brewery and three craft beers from the USA (IPA from Rhinegeist, Kölsch Style from Madtree and wheat beer from Live Oak). BLEFA came up with two innovations this year, though one was rather more cosmetic. Anyone used to the “hanging ring” decor of past years, was this year perhaps surprised to see 4 impressive hanging squares. 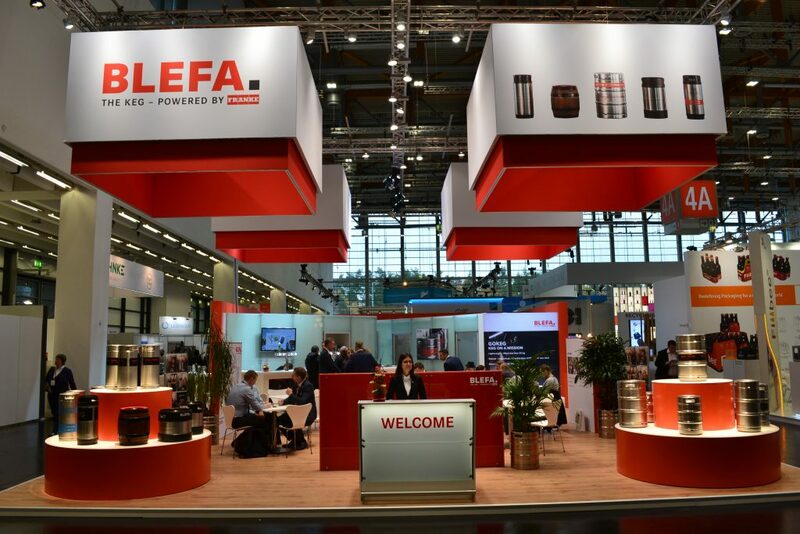 This meant that no matter where you were in hall 4a, the Blefa stand was almost always visible. The second and far more important innovation was the successful launch of „GOKEG“. 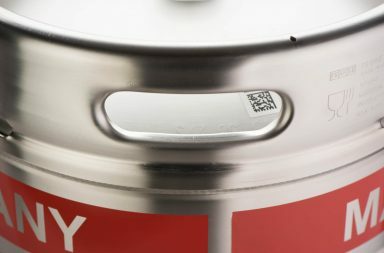 This keg consists of a robust stainless steel keg body and strong top and bottom chimes of polypropylene (PP). GOKEG’s diameter is 239 mm and it comes in three different volumes of 10, 15 and 20 litres. GOKEG was a complete hit with the visitors, which put a smile on the face of our sales manager Henning Schlabach: “The long and intensive development work has really paid off in the end. 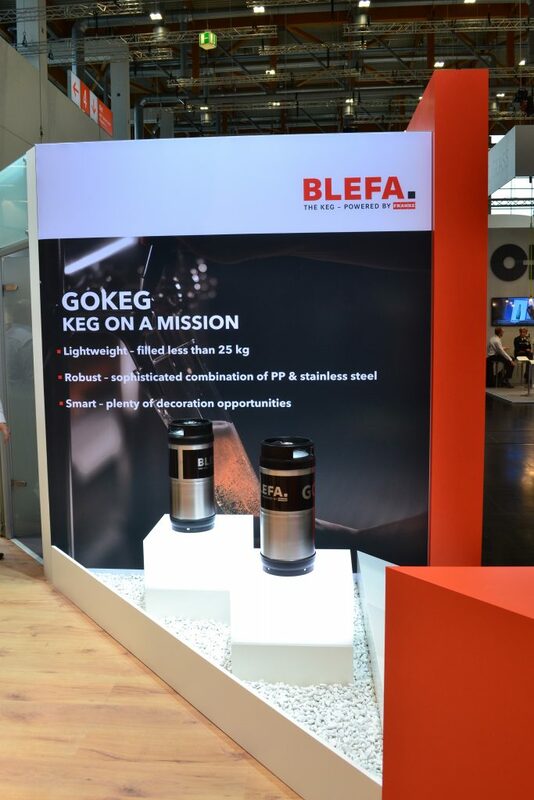 I’m really pleased that, with GOKEG, we can provide our customers with a product that, in true BLEFA tradition, combines quality with operational reliability.” On top of this, a full keg has a maximum weight of less than 25 kg, which makes GOKEG one of the lightweights in the BLEFA product range. In summary, it’s fair to say that BLEFA is more than satisfied with the trade fair as a whole. Countless visitors were welcomed to the stand, there were interesting and fruitful exchanges and conversations, old contacts renewed and new ones made. These included two journeymen, who may well have caught the attention of one or two other trade fair visitors. 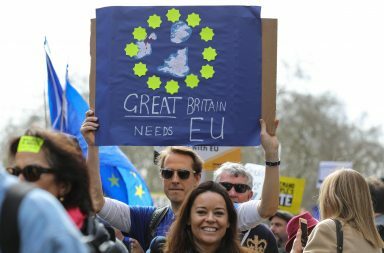 Suitably refreshed with a plate of good food and a cool beer, they then continued their journey and BLEFA would like to wish them all the very best. 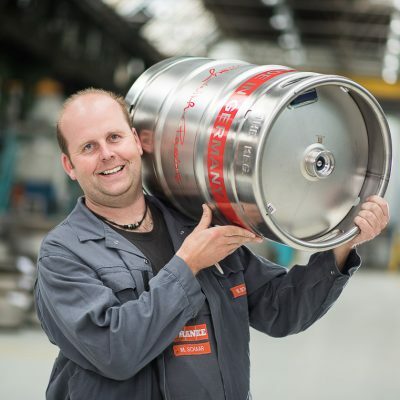 And who knows, maybe we’ll meet again at the Brau Beviale in 2019.